IRPRESUNIV.ORG, CIKARANG ̶ Thursday (28/6), After a long preparation, the day has finally come for the International Relations Study Program of President University to conduct a social project in Refugee Learning Nest, Cisarua, Bogor. A blissful atmosphere covered the hall of which we resided. Smiles carved on the faces of the participants. the refugees, and the committees. Laughter was heard across the room. Joy filled the hearts of everyone who participated. 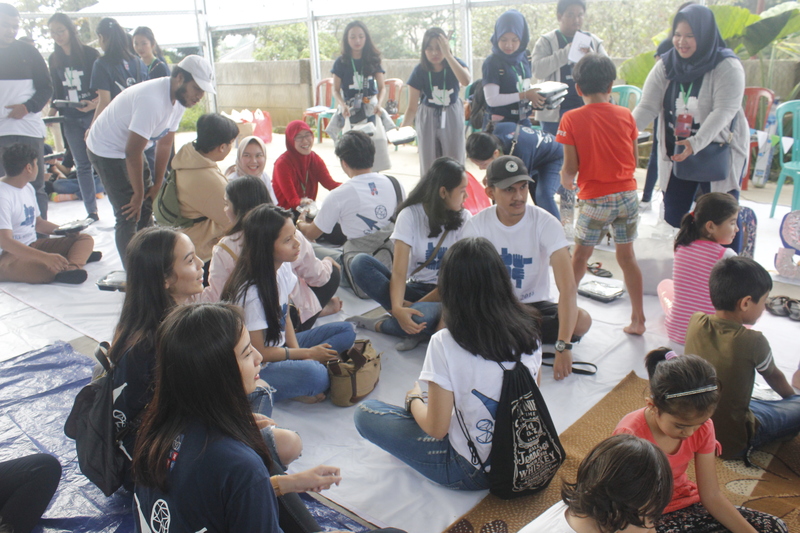 And it all started when the participants met the refugees, they were so delighted to finally get to know these kids who mostly originated from the Middle-East. It proceeded to the speech from the project manager, Intan Salsabila and the representative of the Refugee Learning Nest, Mr. Ramadhan. He gave a warm welcome to everybody, and said that he was also looking forward to see the excitement of the participants as well as the refugees. The agenda continued to a hand-crafting activity with the theme “Paper Town” where the participant made an imaginary tower, castle and other creation out of old newspaper. The participants were enthusiastic in making their own make-believe worlds. Next is “Straws Feet”. In this game, the participants had to move 10 straws from the back of the line to the front using only their feet and make a tower out of it when they were finished. After that came the game “Shine like a Star”. In this one, the participants have to make clothing out of old newspaper. The creativeness of the kids shined brighter than the sun and we were simply blown away by the magnitude of said creativeness. At the end of the day, nobody really wanted to part ways with each other, time felt compressed to a minute when we were together, enjoying one another’s company.